Stelly collected his lone big-league homer against the Los Angeles Dodgers, which had taken an 18-2 lead on 24 hits through the top of the sixth. Later Cubs pinch hitter/trumpeter Carmen Fanzone’s grand-slam off Charlie Hough provided some consolation. But even amid the gloomy results on the sunny day, his starting assignment for manager Jim Marshall was welcome-home-to-Chicago for Stelly, who had been traded to the Cubs from the Anaheim Angels just three weeks prior for failed closer Horacio Pina. Stelly spent a frustrating afternoon trying to catch woebegone starter Tom Dettore, who gave up five runs, and first reliever Dave La Roche (father of Adam), charged with 11 runs (nine earned) in 4 1/3 innings. I always gravitated to Stelly in his coaching visits because of this game and his lifelong residency in the South Chicago neighborhood, by 95th and Commercial. Snooty North Side and north suburban residents – some of them sports journalists – never believed the former center of steel manufacturing was even part of the city itself. The arrogant crowd also believed the adjoining Northwest Indiana region might as well have been in Ohio rather than part of all government measurements of the Chicago metro area. Actual Chicago Cubs were not common. All-timer Phil Cavarretta grew up on the near North Side and attended Lane Tech. But natives of the city who finally made the cut at Wrigley Field were more likely to be obscure types as Mendel Catholic product Stelly, Lane alum John Felske and South Sider Chico Walker. Many such angles to Stelly’s career have been celebrated after the baseball lifer died of pancreatic cancer at age 69 on Nov. 6 in Chicago. 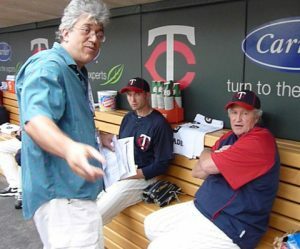 He carved his legendary Twins bullpen coach’s run from 1981 to 2012 through managers John Goryl, Billy Gardner, Ray Miller, Tom Kelly and Ron Gardenhire from an old-school resume as a fringe big-leaguer. 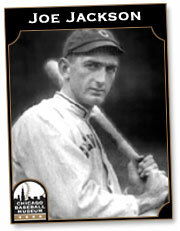 An original Washington Senators product, he also played for the Texas Rangers in addition to the Cubs and Angels. Stelly was much ado about nothing – just 108 plate appearances over 60 games as the ultimate third-string catcher. He could not nail down the Cubs job ahead of George (Baron) Mitterwald, Steve Swisher – father of the better-known, voluble Nick Swisher – and Tom Lundstedt. New arrival Tim Hosley nudged ahead of Stelly for the third catcher’s job in 1975. So the South Chicago kid sweated out that season in frequent upper 90s and 100-degree heat at Triple-A Wichita. Rick Stelmaszek in his cup of coffee as a Cubs catcher late in 1974. 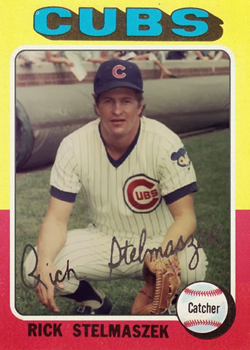 “As kid we all collected baseball cards, but for us in South Chicago, it was all about getting a Rick Stelmaszek card. Finding his card in a pack (in 1970, ‘71, ‘74 and ‘75) was as good to us as getting any superstar. Rick wasn’t just a picture on a small cardboard piece, he was our neighbor, friend and unofficial coach. “Rick’s wife Kathy was my third-grade teacher at Sacred Heart. After my third-grade year, they planned on moving to California because Rick was with the Angels, but that plan got changed when he was traded to his hometown Cubs. We were happy to have them stay in the neighborhood and ecstatic to see Rick in a Cubs uniform. I remember the thrill of seeing him on television as he hit a double in his Cubs debut. “Rick played in Wichita for the 1975 season, but our neighborhood stores could not keep baseball cards in stock as we all wanted his Cubs card! My family vacation was to Wichita to see Rick play for the Aeros. We saw a couple games and spent the evenings with Rick and Kathy talking baseball and catching them up on South Chicago. “Through the years, Rick would always give me an autographed team ball or a player bat. He’d invite me over and we’d talk about the season and other fun stuff. I always looked forward to these times. “Fast forward many years and I had the pleasure of interviewing Rick several times. He always had time for me. Plus, he set up interviews with Ron Gardenhire, Tony Oliva and others. I’ll never forget talking to Rick for the first time as part of the media. The eight-year-old in me was shrieking with joy! “Rick was especially fond of the late Kirby Puckett. His modesty wouldn’t allow him to brag, but Rick played a big part in the Twins drafting Kirby and the two remained close up to Puckett’s early passing. I heard lots of great stories about Puckett, Kent Hrbek, Tim Laudner and many others. I often said he should have written a book. 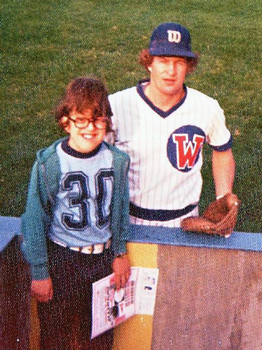 Young John Wroblewski visits Rick Stelmaszek in 1975 while he played for the Wichita Aeros, then the Cubs’ Triple-A affiliate. The Twins community is also remembering Stelly. Some of his old players probably cringed at the front end of these stories. “He made us take ground balls on our stomachs,” former first baseman Hrbek told the Minneapolis Star-Tribune. “We lied down, and he hit rockets at us. He wanted us to see how the ball was spinning, to get a frog’s-eye view of what was going on. Twins players also heard of Stelly’s sole homer. In furthering the old Cubs connection, I’d kibitz with fellow Twins coach Jerry White, a sometimes spectacular Wrigley Field center fielder in 1978. I had old WGN video of a pair of Willie Mays-style catches by White, who showed them to the other coaches and players. Of course, White and fellow speedster Rodney Scott were traded in a spiteful deal to the Montreal Expos after the ‘78 season for Sam (who?) Mejias. Stelly was traded by the Cubs in early 1976 to the New York Yankees for pitcher Gerry Pirtle, who never made the parent club. Fortunately, the sometime catcher did not have to wait long to leverage his clout off Sutton to a beloved seat on the bench and bullpen in three ballparks – Metropolitan Stadium, the Metrodome and Target Field. A piece of old-time baseball has passed with the coach from the gritty Chicago neighborhood.